Archaeologists say they have found an ancient mummy in Mongolia from 1,500 years ago in the Altai Mountains. The remains, which were wrapped in felt, are being called the first Turkik burial found in Central Asia, reported the Siberian Times. “Now we are carefully unwrapping the body and once this is complete the specialists will be able to say more precisely about the gender,” Sukhbaatar added. 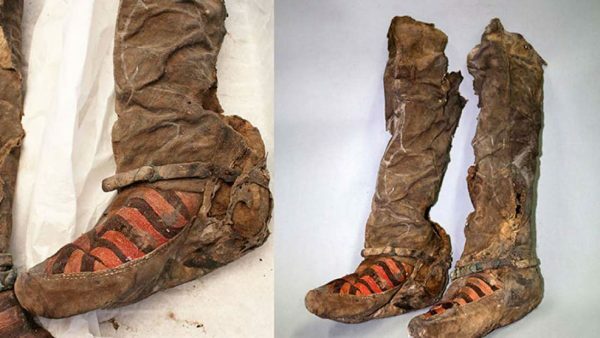 However, some media outlets and people on social media claimed the shoes looked modern. More specifically, they looked like “Adidas shoes,” as one put it. 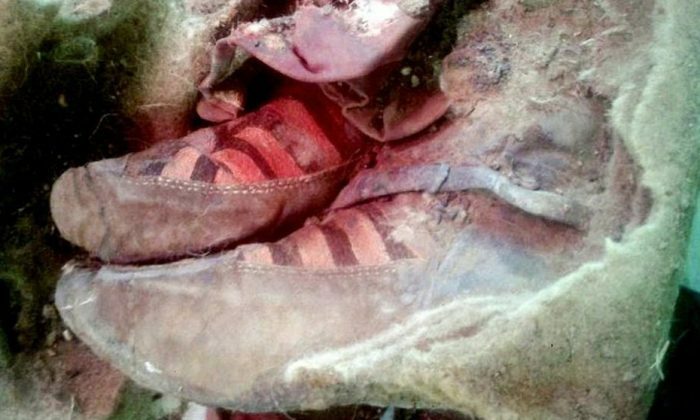 “The mummy had on some Adidas in the first pic,” wrote one person on LiveLeak before a number of tabloid sites picked it up. Near the remains were a bridle, a clay vase, a bowl, an iron kettle, the remains of an entire horse, different types of Mongolian clothes, and a saddle. There were also pillows, a sheep’s head, and a travel bag. Based on the items found in the cave, researchers dated the mummy back to the 6th century AD.